Immerse yourself in history and Māori culture, explore beautiful islands and enjoy the fresh flavours of New Zealand's sub-tropical north. Kerikeri Airport, also known as Bay of Islands Airport, is just 10 minutes by car from the arty, foodie town of Kerikeri. It's also 20 minutes from historic Waitangi and the tourist town of Paihia. From Paihia you can visit the Waitangi Treaty Grounds, New Zealand's most significant historic site, and cruise the Bay of Islands to see dolphins and the Hole in the Rock. You can also catch a bus to Cape Reinga, surf down giant sand dunes and ride an easy 87km cycle trail through beautiful scenery and historic towns. 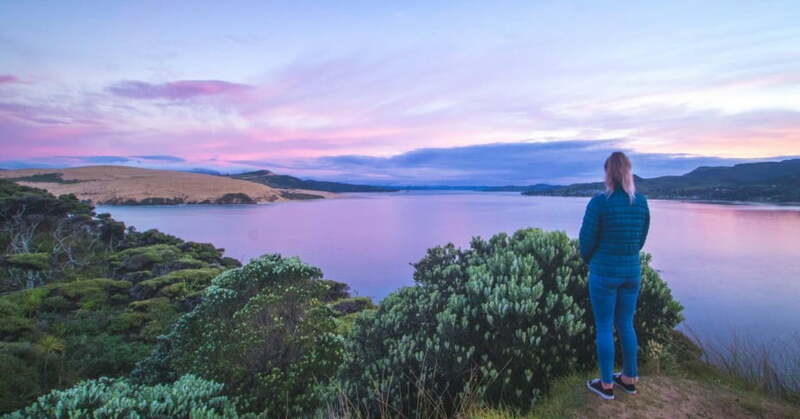 Air New Zealand offers non-stop flights to Kerikeri airport from Auckland, with connecting flights from Wellington, Christchurch, Queenstown and most other regional centres. With all Kerikeri airfares you can choose seat, seat+bag, flexitime or flexidate fare types. The scheduled flight time for Auckland to Kerikeri flights is 50 minutes, and return flights from Kerikeri to Auckland airport take 45 minutes. From Waitangi you can paddle up the river to Haruru Falls in a kayak or a large traditional waka. Northland's comfortable sub-tropical climate makes it easy to enjoy outdoor adventures at any time of the year. It also means there's a wealth of fresh local produce and award-winning wines to discover. It's no surprise that this is where early European traders were welcomed by local Māori and chose to settle, leading to the birth of our nation under the Treaty of Waitangi. Waitangi Treaty Grounds is one of New Zealand's premier attractions. 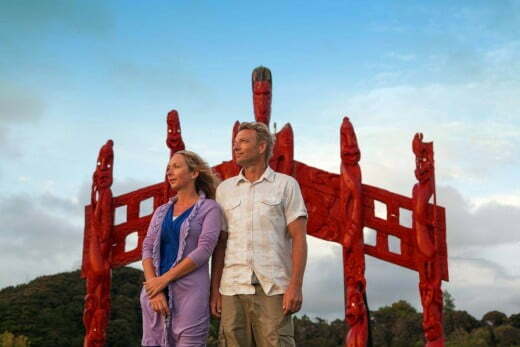 Apart from wandering the extensive grounds and enjoying sea views, you can explore an excellent museum, watch authentic Māori cultural performances, see beautifully carved Māori meeting houses and be awed by a large traditional waka (canoe). A day pass gives you access to everything this important historic site has to offer. A short ferry ride from Paihia takes you to the historic settlement of Russell. Once a lawless port frequented by traders and whalers, it eventually became an elegant colonial town. You'll be transported back in time as you wander the seaside streets with their charming cafés and boutiques set in many of the original historic buildings. 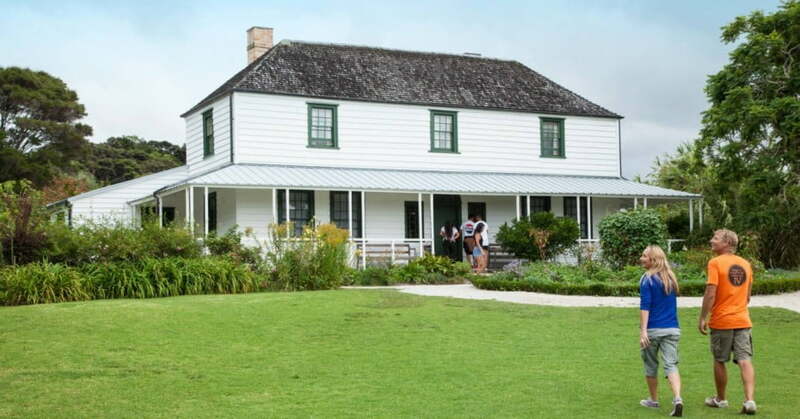 Kerikeri is home to two of New Zealand's oldest buildings, Kemp House and the Stone Store. Built by an early mission station with the support of local Māori chiefs, they provide fascinating insights into early colonial life in New Zealand. Set beside a river and waterfall, the store, a small museum and a café are open to visitors and there are regular guided tours of Kemp House. Te Waimate Mission, an easy 20-minute drive from Kerikeri, is another important historic site with some amazing stories to tell. The 1832 mission house has interpretive displays and artefacts, including an exhibit about the second signing of the Treaty of Waitangi after it was taken around the country for consideration by different Māori groups. To learn more, see our article on Kerikeri history and culture. At Paihia you can catch a range of cruises to explore the Bay of Islands, get close to dolphins, see the spectacular Hole in the Rock and visit beautiful protected islands with sandy beaches. If you like a little adrenalin with your ocean adventures, check out the high speed cruises or try your hand at parasailing for the ultimate aerial view. From Waitangi you can paddle up the river to Haruru Falls in a kayak with a guide or join other adventurers in a large traditional waka. If biking is more your thing, you'll love the Waitangi Mountain Bike Park. There's also an easy multi-day cycle trail between the Bay of Islands and the Hokianga Harbour on Northland's west coast. Kawiti Caves are a must-visit if you like underground chambers with glow worms, stalactites and stalagmites. They're only 20 minutes south of Paihia by road and close to the town of Kawakawa, famous for its colourful public toilets designed by Austrian artist Friedensreich Hundertwasser. There's no shortage of walks and hiking trails around Kerikeri and the Bay of Islands. From Waitangi you can follow the river to Haruru Falls on a 6km track, complete with a boardwalk over mangrove wetlands. Around the town of Kerikeri there are five picturesque walking trails, each to a different waterfall. If you prefer a longer trek, check out the 6-8 hour Cape Brett Walkway. You can get a water taxi back or stay overnight in a bookable hut. From Opononi on the Hokianga harbour, about an hour's drive from Kerikeri, you can catch a boat to the huge Hokianga sand dunes to go sandboarding. It's a good workout for the legs and a thrilling ride down. At high tide you'll skim out across the water when you reach the base of the dunes. For a local's guide to the best activities in and around Kerikeri, see our Kerikeri Top 10. Fresh seafood and delicious local ingredients hold pride of place on menus in Kerikeri and the Bay of Islands. The subtropical climate lends itself well to alfresco dining overlooking the water or amidst the vines. Local restaurant favourites include the Duke of Marlborough Hotel in Russell and Charlotte's Kitchen in Paihia. For exceptional coffee and fresh baked yummy treats, head to Third Wheel Vending in Paihia. Chocolate lovers should visit Kerikeri's boutique chocolate factory, Makana Confections. If you're looking for highly-rated roadside fish and chips, and huge ice creams, try Highway 10 Seafood Takeaways at Waipapa near Kerikeri. For wine tasting and casual vineyard dining, check out Omata Estate on the road to Russell from the Opua car ferry. Paroa Bay Winery, a 15 minute drive from Russell, offers cellar door wine tasting, Mediterranean cuisine and boutique luxury accommodation. 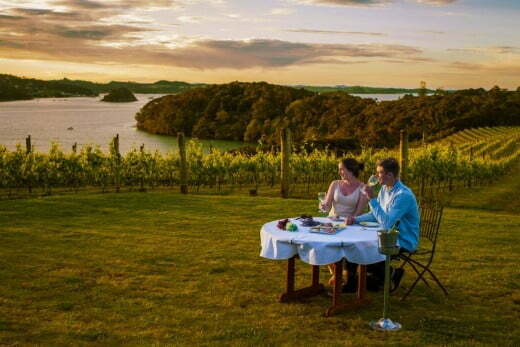 Just minutes from Kerikeri village, Marsden Estate is a local favourite for wine tasting and breakfast or lunch on a vine-shaded terrace overlooking gardens and a lake. If you're planning the ultimate getaway, consider The Landing. Situated 30 minutes east of Kerikeri, it offers several luxury residences with an optional private chef on a 1000-acre property with six beaches, a vineyard, walking tracks and more. If you want to pay less to fly to Kerikeri from Auckland, Wellington, Christchurch and more, we run regular special offers. You can sign up for low fare alerts to receive early notice of these offers. You can also sign up to receive regular email updates about cheap airfares, packages, competitions and exclusive offers.